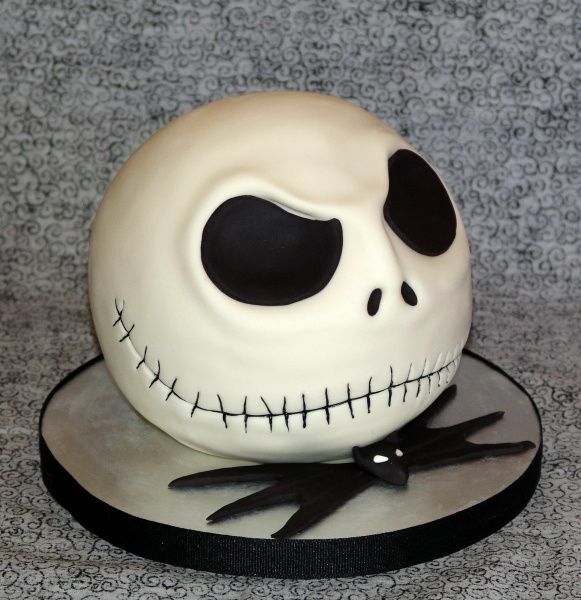 So you’ve think you’ve seen all the Halloween cakes worth seeing, huh? Halloween is the one night to let your eerie creative juices flow. 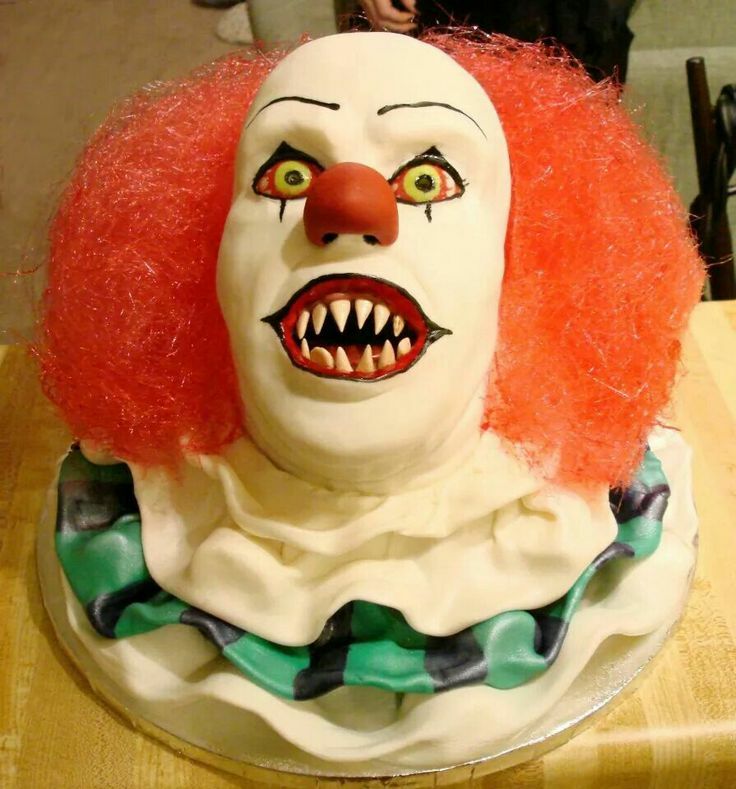 Here’s a few fearsome looking cakes that will have you wondering whether you want to eat it or book yourself into therapy for post traumatic stress! You might want to take one look at this cake and run. However if you stick around long enough to taste it you will confuse your own brain with its sheer deliciousness. A fondant, covered cake complete with Hershey’s syrup and edible food colouring, this cake is truly spectacular. Entitled ‘the Pain of George,’ this fantastic cake is perfect for the adults on fright night. 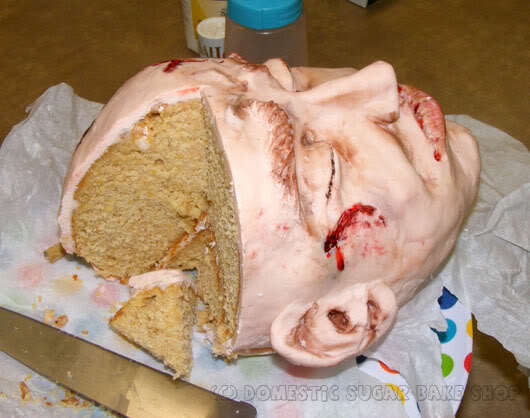 Sugar artist and cake specialist at domestic sugar created this severed head for a Halloween birthday party. Gruesome or what? You must agree, that this cake is super-gory! Shown on the I-Heart-Cup cakes website, the severed head is guaranteed to scare the superman pants off the bravest of guests. You might just think twice about eating it. This blood-splattered cake masterpiece would be amazing at any Vampire themed party, and tastes mouth-wateringly good! Feast your eyes on this gruesome eyeball cake, It’s so creative, it’s scary! Taking artistic talent to the extreme, COTB at Cake Central created this scary little treat. It’s sweet icing is probably going to be the stuff of nightmares until next Halloween! One look at this and memories of the scary as Hell horror movie, ‘Clown’ will come flooding back to frighten the living daylights out of you.